Smart Monkey Marketing help small and medium-sized businesses in Sussex, Surrey and Kent generate revenue through measurable digital marketing campaigns. Their four core services include SEO (Search Engine Optimisation), content marketing, PPC (Pay Per Click or Paid Advertising) and social media advertising on platforms such as Facebook, LinkedIn, Instagram, Twitter and YouTube. Founded in 2006, Smart Monkey has a track record of delivering tangible results for their clients. 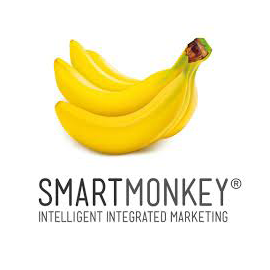 Smart Monkey Marketing is looking for an SEO Executive in England, United Kingdom. If you meet the requirements below, you will be eligible to apply via Digital Marketing Community. Cooperate with our digital marketing manager, develop a well-researched digital marketing strategy for your client portfolio. Design, prioritize and deliver digital marketing campaigns (predominantly organic) for your client portfolio. Assure your campaigns are delivered to the deadline. Report on the impact of digital activity, drawing insights from the results. Audit client meetings, present results of your work and explain SEO strategy. Support and grow your client relationships. Stay our digital marketing manager up to date with progress and highlight potential risks or issues in good time. Keep up-to-date with the latest SEO/digital marketing trends. Digital marketing professional with a minimum of 2 years agency experience. Demonstarted understanding of Google Analytics. Expert knowledge of local SEO. Deep knowledge of the paid search. Key strengths should include organic search engine optimization and content marketing.